A series of serendipitous events brought Samantha and Savanna together in 2014 and they have been long-distance besties ever since. Always looking for opportunities to travel together (and frustrated by the lack of all-inclusive, plant-based vacation options), they decided to use their combined expertise in event planning and wellness to start hosting adventurous, yoga retreats all over the globe. Samantha is an ADVENTURE, health, nature and mindful-living enthusiast! These passions have led her to follow a variety of non-traditional paths in life. Samantha lives, works and plays on her family’s 200-acre farm in St. Clair, Missouri, where she owns and operates an event planning business and outdoor venue. Her experience hosting and coordinating weddings and other events has helped Samantha develop exceptional planning, organization and customer service skills. 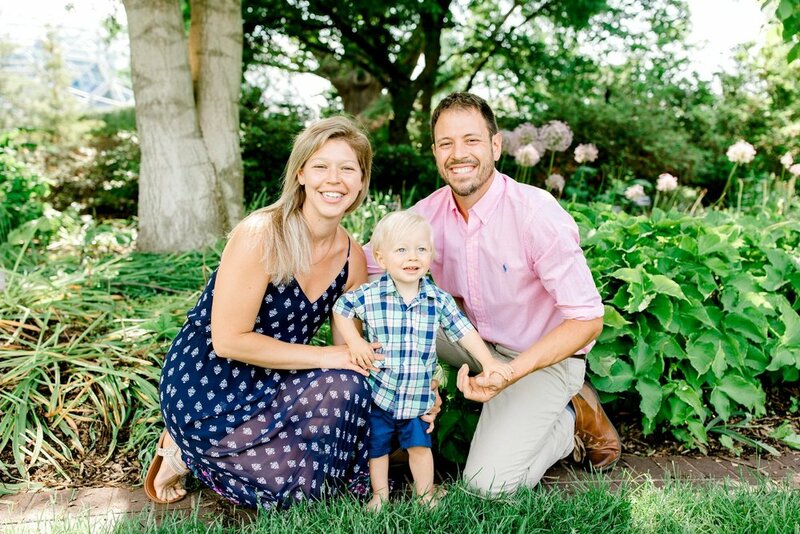 Her event venue business keeps Samantha's ADVENTURES based at the farm from April-October every year, but she loves to travel with her husband and son during the winter months. Samantha and her husband Rob LOVE to cook and learn more about the benefits of a plant-based, whole food lifestyle. Samantha feels most fulfilled when she is motivating, inspiring and helping others reach their greatest potential. In addition to ADVENTURE Samantha loves, taking walks around her property with her 6 rescue dogs, husband, and son, any natural body of water you can swim in, yoga, eating all the best food, feeling the sun on her skin, dancing outrageously and connecting with new inspiring people. Savanna is no stranger to ADVENTURE. She first traveled abroad with a backpack and a one-way ticket at the age of 20. Throughout her journeys, she has learned to practice and teach Yoga, trekked and guided hikes along hundreds of miles of trails, and spent countless hours volunteering with worthy organizations. Savanna brings a sense of enthusiasm and curiosity to everything she does and is at her best when she is helping someone else discover their own sense of wonder. Since her first trip, Savanna's sense of ADVENTURE guided her around the world and across four continents before she landed back in her hometown, sunny St. Petersburg, Florida. These days Savanna lives with her partner, Chris, and her cuddly pup, Viri, a few blocks away from Tampa Bay where they often spend mornings admiring the sunrise. When she is not touring the globe, Savanna works with clients by empowering them to feel informed and confident about their lifestyle choices through personal coaching, mental health counseling, mindfulness workshops, educational seminars, and the best of all, leading Adventure Tribe Retreats! In addition to ADVENTURE, Savanna loves yoga, swimming, making new friends, the feeling of cool grass under bare feet, reading books, singing and dancing, puppies, anything chocolate, twirly skirts, and beach sunsets with her sweetheart. We create ADVENTURES that nourish participants by building a web of connection between nature, food, the community and oneself. 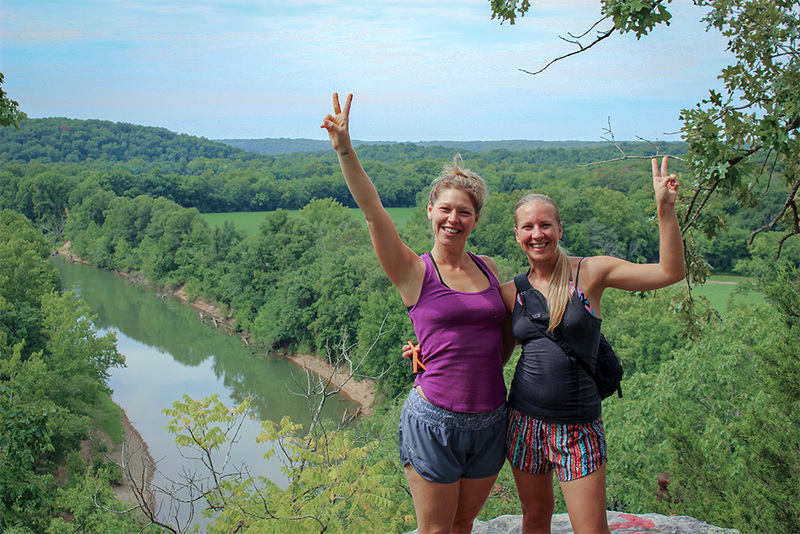 All Adventure Tribe Retreats encourage self-love, playfulness, and curiosity. Join the tribe, unplug and explore with us.